The exterior of a house often reflects the homeowner’s style as much as the interior. An exterior may have many plantings conveying the impression of a charming Victorian garden. Another homeowner may opt for a more modern and sleek look. In many instances, many homeowners will buy a home and wish to make changes to the exterior so that it better reflects their tastes. Exterior home remodeling can also help increase the value of the home by making it more attractive to potential buyers and often adding impressive curb appeal at the same time. 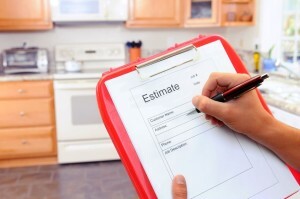 Before starting an exterior home remodeling project, it is a good idea to get exterior remodeling estimates. First State Contractors can provide exterior home remodeling estimates in Kennett Square, PA and many other places in PA. This allows the owner of the home to work closely with skilled professionals with many years of home exterior remodeling experience. A homeowner can find out exactly how much money it will take to complete the project they have in mind when working with the craftsmen here. In doing so, they can feel confident about the overall scope of the entire planned project.